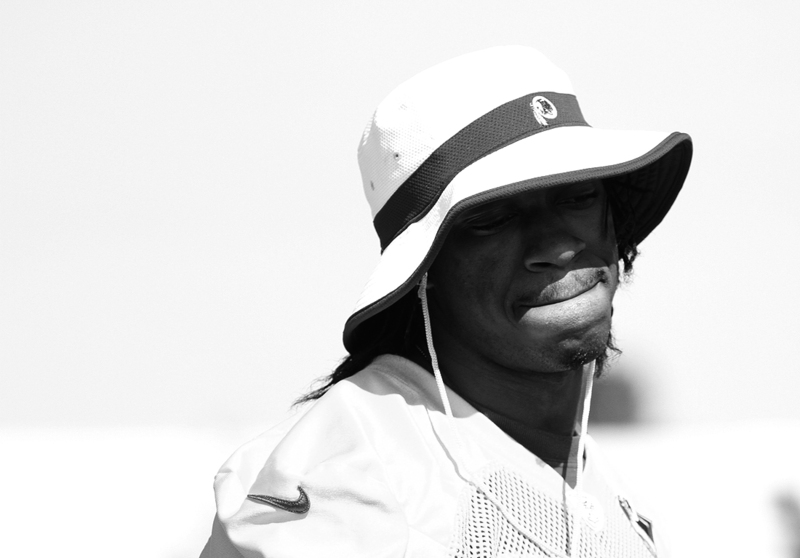 The Robert Griffin III era in Washington ended with a whimper today. With Dianna Russini reporting and both Mike Jones and Jason La Confora confirming that Kirk Cousins would be the Week 1 starting Quarterback versus Miami, the door has now all but swung shut on the faint glimmer of hope that Griffin would live up to the lofty expectations that were placed upon him by both himself as well as a rabid fan base that has been thirsty for sustained success for nearly three decades. This is not a move that anyone should feel good about. Period. That doesn’t necessarily mean that it’s the wrong move, either. The simple fact of the matter is that anytime a #2 overall draft pick fails to outlive his rookie contract, it represents a systemic failure from all involved; player, coaches, and organizational staff. For as much as some may say Robert Griffin III failed the Redskins, it is equally true that the Redskins failed Robert Griffin III as well. From the horrific and inexcusable decision to play Griffin when he clearly wasn’t healthy following that now fateful Haloti Ngata hit, to allowing him to come back for the start of the 2013 season before he was ready, to having Mike Shanahan throw him under the bus in a blatant attempt to get fired and take home a huge paycheck from Dan Snyder, to Jay Gruden failing to hire a specialist Quarterback coach to work with and develop Griffin as he tried to implement a new system. There are a litany of missteps that pepper the short history that was the Robert Griffin III era in Washington. Fans have every right to feel melancholy, angered, or depressed about the way this has been handled. Griffin has been far from a perfect professional athlete – and he is certainly not blameless in how this whole saga has concluded – however the gift of hindsight now tells us that the absolutely mind-boggling mistakes that the organization made in how they handled Griffin from day one seemed to set the team on a course for disaster. No competent front office should have allowed Griffin to be put on such a high pedestal as a rookie before he’d ever set foot on the gridiron field, and in failing to do so the Redskins have effectively drafted a new blueprint on what not to do when it comes to promising young rookie Quarterbacks. You simply cannot allow them the kind of power and influence that was handed to Griffin by the owner in the days and weeks that followed his name being called out by Roger Goodell in New York’s Radio City Music Hall. It creates animosity in the locker room and nurtures imbalances of equality amongst the stronger personalities on the team. Griffin should have been provided with a team-appointed strong mentor from the day he was drafted. Someone who could help Griffin navigate the pitfalls and obstacles, real and concocted, that are placed before rookie Quarterbacks. Instead the Redskins left Griffin exposed and vulnerable. It is clear that some combination of Griffin’s on-field struggles as well as his off-field personality also drove a contingent of Redskins fans away from him and into the embrace of Kirk Cousins. Fans saw Cousins as the “next man up” once they had seen enough of Griffin, and often were quick to ignore Cousins’ faults, such was the level of their readiness to move on from Griffin. Unfortunately, race also played a small but not insignificant role in this as well. That isn’t to say all those who switched allegiances from Griffin to Cousins did so because of the color of their respective skin, however the fact that it existed, even as a minority, was an ugly sideshow to an unpleasant business. For his part, Griffin should have declined to be as frequently featured in advertisements for adidas shoes and Subway sandwiches as he was. It’s all well and good for professional athletes to leverage their fame into additional incomes, however there is a finite amount of tolerance that football fans have for extra-curricular activities that players undertake unless they have attained a certain modicum of success on the field. Griffin had not reached that level, and the goodwill associated with his name quickly evaporated sometime around the “All in for Week One” campaign. Apropos of all this, however, is one important fact to remember; Robert Griffin III is just a kid playing a game. Whilst it’s easy to sit back and blame him for his inability to rebound from injury, his difficulty in transitioning to a more polished pocket passer, or his over saturation on commercials, the simple reality is that the team failed to guide him through the notoriously difficult landscape that is becoming a professional athlete. To his credit, Griffin has tried extremely hard to be the player that fans wanted him to be. No Redskins player spent more time signing autographs for fans at Training Camp than Griffin. No Redskins player has worked harder to put their body on the line for this team, even recklessly so at times. No Redskins player has had to put up with such vitriolic, unfair, and intense scrutiny over the past four years. And yet Griffin would come to practices with a positive attitude and a tremendous work ethic time and time again. If General Manager Scot McCloughan had arrived in Washington earlier, it is perhaps possible that Griffin could have been saved. 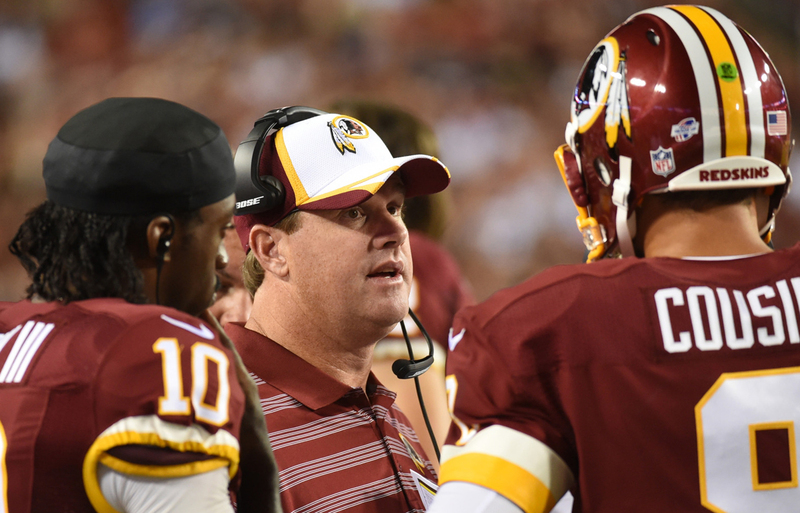 McCloughan certainly wouldn’t have let the team go into a season without a Quarterback coach, nor would he have let Griffin drift in the wind like occurred in 2014 following his ankle injury. Alas, McCloughan arrived too late to play savior, with the majority of the damage already done. None of this is fair. Not to the fans. Not to the other players on the roster. Not to Griffin. 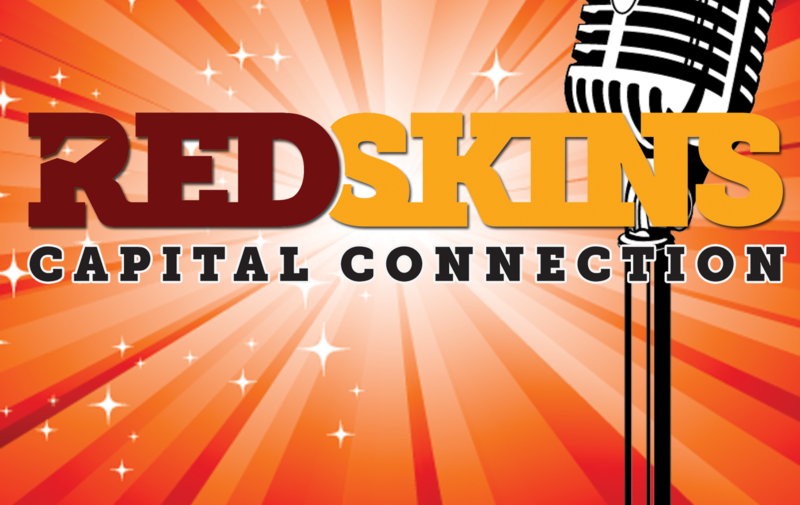 Viewing the relationship between Griffin and the Redskins as a marriage, at some point it seems that the team started considering seeing other people, but Griffin was still intensely in love, determined to make it work. Unfortunately it takes two to tango and the Redskins have stopped dancing, stranding Griffin alone on the dance floor, forlornly looking around for any of the people he once considered family.